A black and white photograph of 780 Garden Street. View is of the south-east corner of the house. This home is located at 780 Garden Street on the west side, south of Rossland Road. The house is built of limestone imported from Kingston about 1845 for a Scottish farmer named John Thomson. 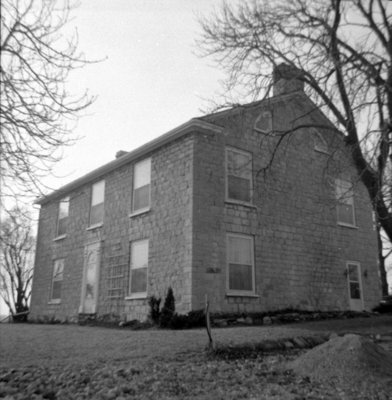 The farm was known as "Mayfield". 780 Garden Street, March 15, 1969, Brian Winter. Whitby Archives A2013_004_204.